We know that street style is not so difficult to achieve if you have key pieces in your closet. For a polished and edgy look and you're in the mood to go outside the house through the rain, you'll need a reliable jacket. Luckily, I got one for the day out. Our adventure of the day is to explore the other side of McKinley in Taguig. 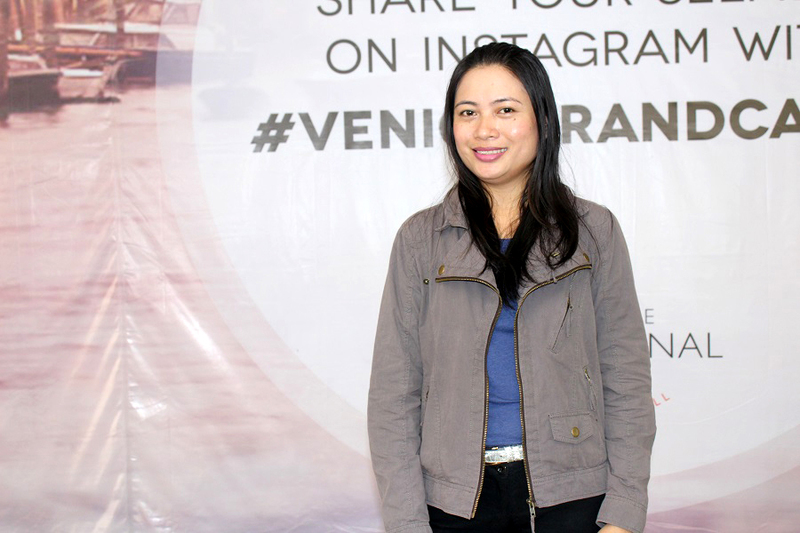 We want to visit the Venice Grand Canal Mall in style so I preferred to wear appropriate clothes for the unpredictable weather. Will it rain or not? That's how I perceive the day. My outfit is a reflection of my personal style - polished and edgy look - and it is so easy to pull off for a stroll in the mall. 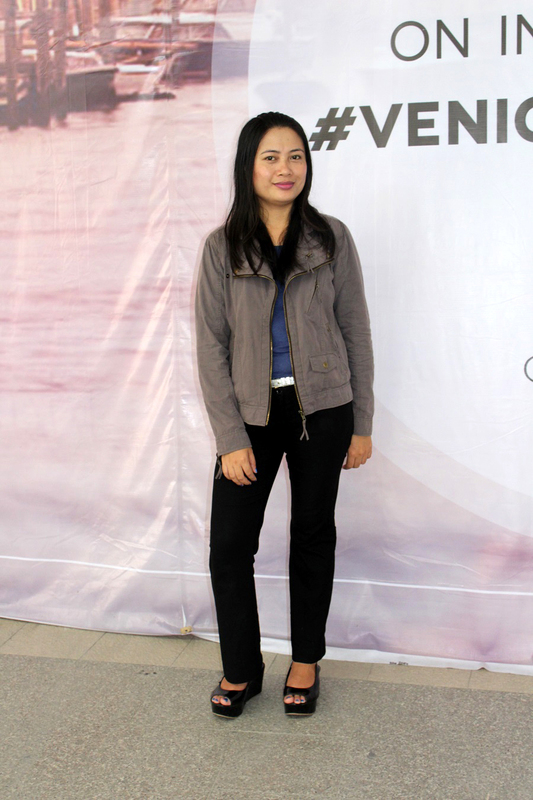 The blue long sleeve blouse is a Forever 21 piece, the jacket is a vintage find as well as the black pants and the footwear is Rusty Lopez. We had fun the whole day of exploring the city. 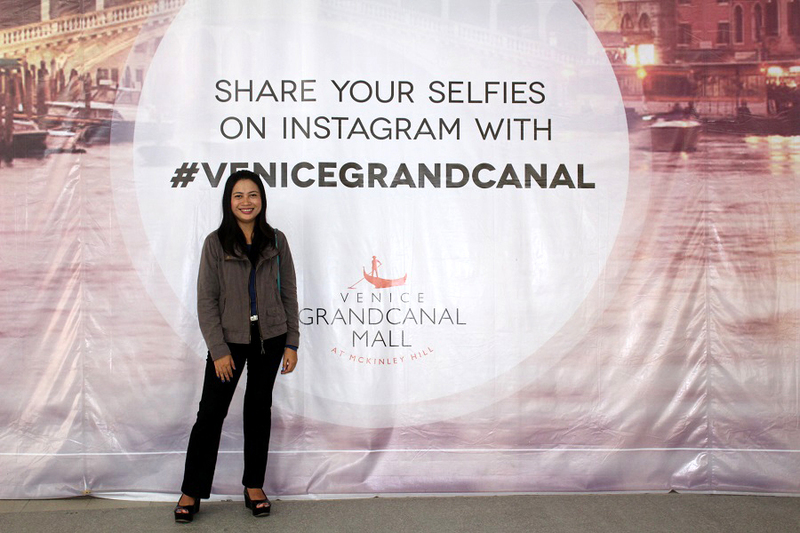 Even though the weather is not good, I still enjoyed visiting Venice Grand Canal Mall. Definitely, I'm coming back to try one of their Italian restaurants. I'm craving for pasta. Have you been to the place, gorgeous friends? Let's talk about it in the comments below.